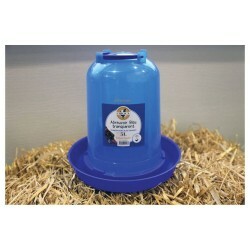 Poultry drinker / water feeder Crown with straight sides. 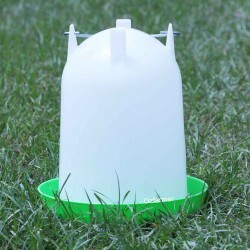 The advantage of the straight-sided drinker is that the birds can drink without having to duck under the bulge of the water container. 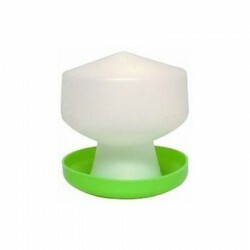 The bowl is also wider, allowing more drinking space. 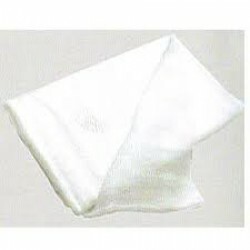 These are more suitable for larger birds. 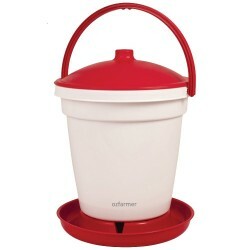 The container can be stood upside down for refilling. Available in 1.5 and 2.6 litre versions. 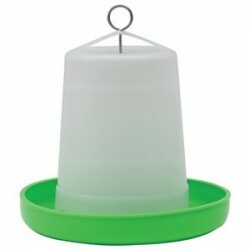 Small crown ball type poultry drinker 600ml or 1.3 litresThis small Crown Green & White drin.. 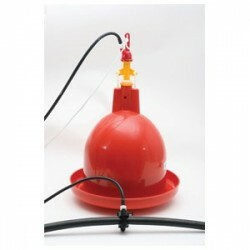 These larger Crown poultry waterers are a bulb shape and have a twist-lock for tight attachment. ..
Poultry Automatic Ballast DrinkerThe Poultry Automatic Ballast Drinker is a big suspension wate..
Crown Easy-fill Poultry Drinker 25 litresThis HUGE 25 litre poultry drinker is extremely.. 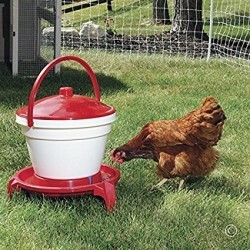 There are 2 basic styles of poultry drinkers: straight sided versions and bulb shaped versions. ..
Straight Crown Poultry DrinkerThe advantage of the straight-sided drinker is that the birds can .. 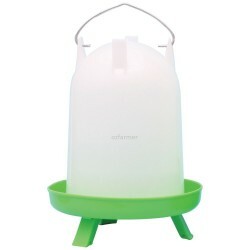 The great advantage of this poultry waterer is that you can fill it on the ground using a hose. This..
Now here is a great idea. A poultry drinker that you can see through! No need to lift it up to chec.. Ideal for making hard cheeses!For cheese making, one of the most important things is to have is ..
4 Litre Decorative Drink Dispenser Ball Mason with 6 Ozi Handle Jars! The Ball Gallon Hand Poured Commemorative Jar drink dispenser makes a beautiful and practical displa.. 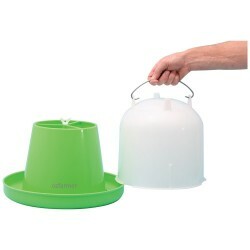 The Bormioli Rocco Officina Swing top bottle has a number of practical uses. Store oils, vinegars, ..